Did you know that you can buy some of the best cameras for underwater photography for less than $350? That's pretty amazing considering their capabilities. There are so many digital cameras for underwater photography it's easy to get bogged down when trying to choose one. To save you valuable time browsing the web and reading endless reviews I have compiled this short list of some of the best cameras for underwater photography. 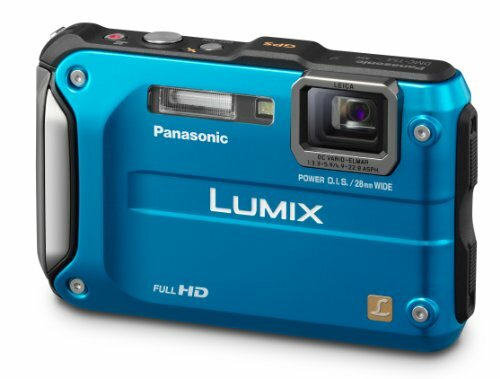 First on the list is this beautiful looking digital camera from Panasonic. The Panasonic Lumix range is one of the best money can buy. Their cameras are best known for reliability and the fantastic images that they produce. The Panasonic Lumix DMC TS3 has so much to offer in addition to it's underwater capabilities. It boasts 4 Active Outdoor Scene Modes which include Sports, Snow, Beach & Snorkeling and of course it's underwater photography mode. The wide 28mm lens is fantastic for situations like taking pictures of large groups of people indoors. The Panasonic Lumix DMC TS3 has a 12.1 megapixel sensor making it capable of producing some very high quality photographs. One of the main features of this camera is it's ability to capture 1920 x 1080 full High Definition videos. 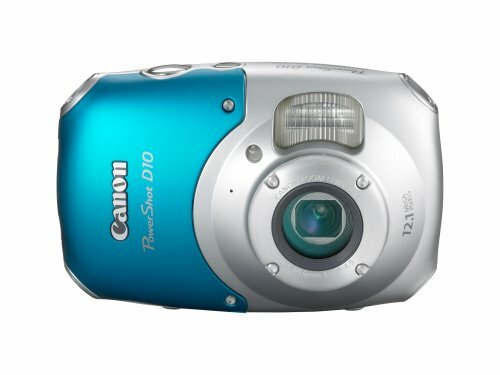 Second on the list is this gorgeous looking Canon PowerShot D10. It's one of best cameras for underwater photography on the market right now, hence the reason it made the list. The PowerShot D10 is waterproof to a depth of 33 feet and will operate at temperatures ranging from 14-104 degrees farenheit. This rugged little camera is extremely well built and the manufacture claims it is shock proof up to four feet. With a 12.1 megapixel sensor the Canon Powershot D10 is more than capable of producing photographs of poster size. 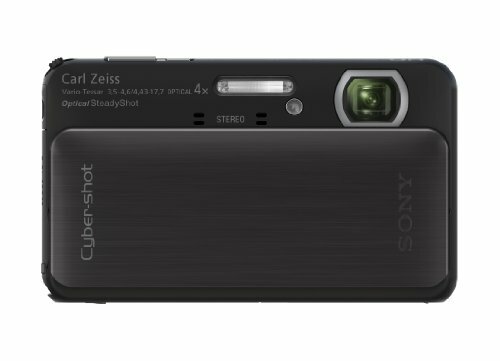 Third on the list is the Sony Cyber-Shot DSC TX10. Sony are known as one of the big players in the highly competitive photography market. This very smart looking underwater digital camera is one of best cameras for underwater photography that money can buy right now. The DSC TX10 is a well built digital camera as well as waterproof it is also certified to be dustproof, shockproof and freeze-proof. The camera has a more than reasonable three inch touch screen making it a dream to use. As well as having the ability to take amazingly high quality images the Sony Cybershot DSC TX10 has the ability to record full HD videos. You can even take 3D still images with the DSC TX10. Waterproof to a depth of 16 feet. Shockproof up to a height of 6 feet. Capable of capturing full High Definition videos. Capable of operating in temperatures ranging from 13-104 degrees farenheit. 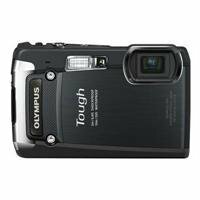 Last but by no means least on our list of underwater photography cameras is this Olympus Stylus Tough 8010. With it's 14 megapixel sensor, it is capable of producing images at breath taking quality. Not only can you take great photographs with the Olympus 8010 you can also shoot HD movies. However, it won't be in full HD like the previous cameras in our list. Still the quality of the movies are still fantastic. The Olympus 8010 is capable of taking photographs underwater to a depth of 33 feet. It's rugged construction and metal body make the camera shockproof. This camera is capable of operating in temperatures of 14 degrees fahrenheit which means that this impressive digital camera is freeze proof. The Olympus Stylus Tough 8010 is one of the toughest cameras on our list capable of withstanding a massive 220 pounds of pressure. That completes our list of the best cameras for underwater photography. Hopefully you will have found the article useful and are now in a position where you can choose a camera to buy. If you do buy one of these cameras it would be great to know which one you decided on and if this list helped you choose. Thank ! It was a great review . Good page, tells the story well for this product. Thanks for this. Very detailed and well researched. I use the Canon Powershot D10, and it's a great underwater, and all around, camera for the price. Excellent information on the best cameras for underwater pictures. This will certainly help those who are shopping for an underwater camera. Congratulations on the featured article. making plans to travel in central/south america and was thinking i'd pick up a waterproof compact camera for it, so thanks for the little roundup here! i've never played with any of these models and was just thinking, do any of them float?